Education: BE/ BTECH (Naval Architect/ Mechanical/ Electrical) from a recognized University. Posted in Apply online, Electrical, Electrical & Power, Electrical and Electronics, Government Job, Job After Btech, Mechanical, Naval Architects. Tags: 2015., Assistant Manager, Garden Reach Shipbuilders & Engineers Ltd., Govt. jobs, GRSE, Last Date: 14 September on August 27, 2015 by kavita joshi. MRPL Mangalore Refinery and Petrochemicals Ltd. | Govt. Jobs | Graduate Apprentice Engineers | Last Date: 14 September, 2012 | Apply Online. BE/ BTECH (Chemical/Electrical & Electronics/Mechanical/Instrumentation) required in Mangalore Refinery and Petrochemicals Ltd.
Educational Background: BE/ BTECH (Chemical/Electrical & Electronics/Mechanical/Instrumentation) – 2012 pass outs with 65% marks. Posted in Apply online, Chemical, Electrical and Electronics, Government Job, Instrumentation, Job After Btech, Mechanical, Without Experience. Tags: 2012, Apply online, Govt. 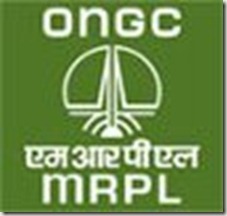 jobs, Graduate Apprentice Engineers, Last Date: 14 September, Mangalore Refinery and Petrochemicals Ltd., MRPL on August 16, 2012 by kavita joshi. Madhya Pradesh Paschim Kshetra Vidyut Vitaran Company Limited | Govt. Jobs | Asstt. Engineer Vacancy | Aug 2011 | Last Date: 14 September, 2011 | Apply Online. BE/ BTECH (Electrical/ Electrical and Electronics) required in Madhya Pradesh Paschim Kshetra Vidyut Vitaran Company Limited. Educational Qualification: BE/ BTECH (Electrical/ IT/ Computer Science) from a recognized University with 65% marks. Posted in Apply online, Electrical, Government Job, IT, Job After Btech. Tags: 2011., Apply online, Asstt. Engineer, Aug 2011, Govt. jobs, Last Date: 14 September, Madhya Pradesh Paschim Kshetra Vidyut Vitaran Company Limited, MPPKVVCL, vacancy on August 25, 2011 by kavita joshi.